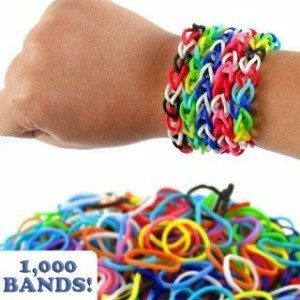 1000 Piece Loom Bands Set Only $5.99 Shipped! You are here: Home / Great Deals / 1000 Piece Loom Bands Set Only $5.99 Shipped! Don’t have the kids bugging you all summer long for something to do. Grab this 1000 Piece Loom Bands Set Only $5.99 Shipped! Not only is it a great deal, it’s a great way to keep the kids busy while you work! Check out this and other hot deals every day at 13 Deals and tons with FREE Shipping Too!